Dogs Day Out Festival returns to Lexcen Park in Ocean Reef. 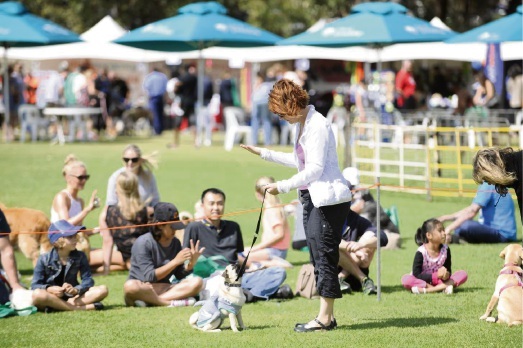 A COASTAL dog walk is the newest addition to the City of Joondalup’s annual Dogs Day Out festival. Now in its fourth year, the event returns to Lexcen Park in Ocean Reef on Sunday, March 26. Check-in for the leisurely 3.2km walk, which starts and finishes at the park, is from 7.30am for an 8am start. The festival then runs from 9am to 1pm and features market stalls and exhibitions, obedience training tips, behavioural and agility demon- strations and competitions, including the best-dressed dog, best tricks and dog grooming. City Rangers will be on hand to answer dog-related questions and there will be food and drinks and free doggie bags on offer. WA Pet Project is also offering free micro-chipping to the first 50 City of Joondalup residents. Register here for the walk before March 20. Last July, Cr Nige Jones requested the City consider establishing a community dog walk to be held in conjunction with the Dogs Day Out. He said the walk would “further enhance and strengthen the objectives of the Dogs Day Out” and “showcase the City’s coastal attractions”. In October, the council considered the report and approved a ‘round trip’ coastal walk. This would involve participants walking from Lexcen Park to the Ocean Reef Boat Harbour carpark, then walking north along the coastal dual-use path up to Resolute Way before turning around and walking back to the park – about a 40-minute walk. The City would be required to supply four traffic wardens along the route and the walk was estimated to cost $4230 to run.